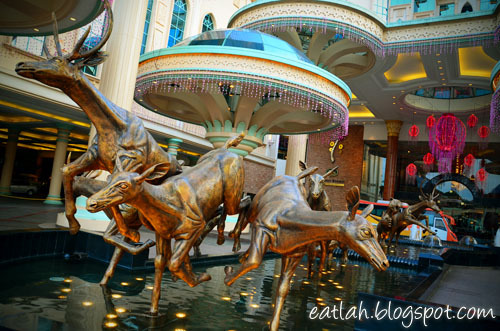 Shuang Wei Moon Cakes at West Lake Garden Chinese Restaurant, Sunway Resort Hotel & Spa | where and what to eat lah? 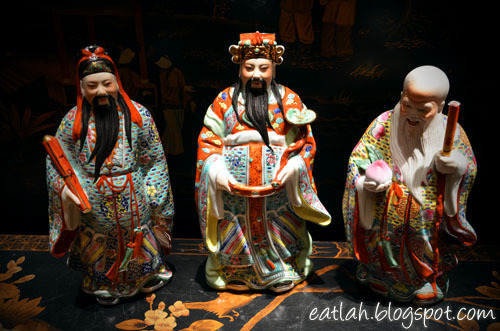 Yearly Chinese traditional festival, the Mid-Autumn Festival 中秋节 is approaching and for this year, it falls on September 12, 2011. 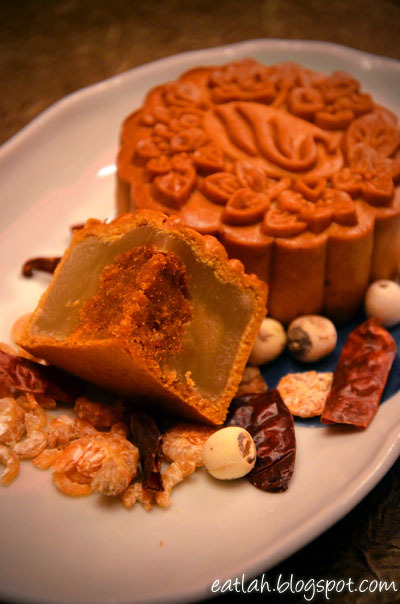 It is the time to savor the customary moon cakes together with family and friends in celebration of abundance and reunion. 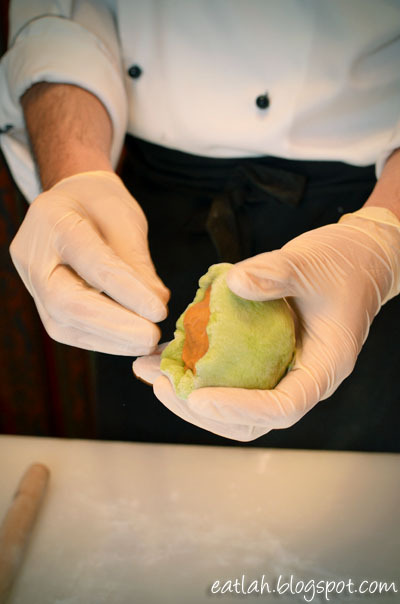 West Lake Garden Chinese Restaurant embraces the tradition of Mid-Autumn Festival mooncake crafting with its exquisite Shuang Wei moon cakes that reflect an unspoken sense of pride and prestige. 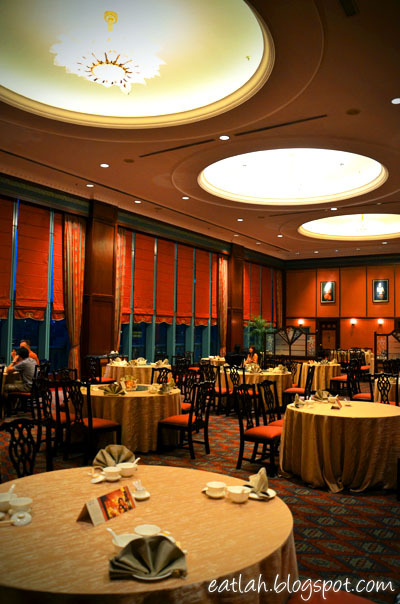 The award-winning West Lake Garden Chinese Restaurant is located on the Lobby Level of the Sunway Resort Hotel and Spa. 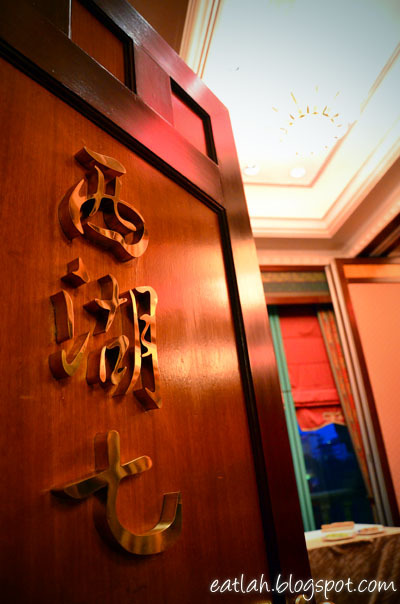 The restaurant's composition reflects a warm tasteful and soothing traditional ambiance that makes you feel like an Emperor when you walked in. 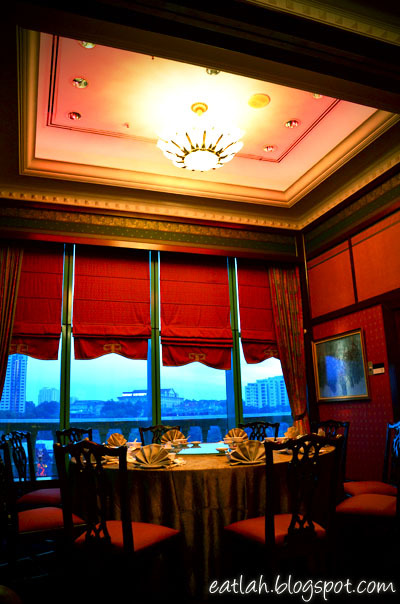 Besides a spacious main hall, the restaurant also has 8 private dining rooms with a stunning view of the lagoon. 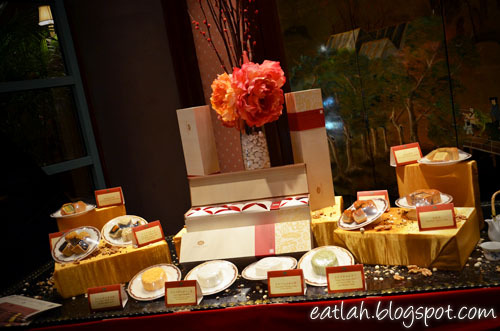 From 12 July to 12 September 2011, West Lake Garden is pleased to introduce an exciting series of Shuang Wei moon cakes compromising of 10 flavors made from a recipe that is carefully guarded. 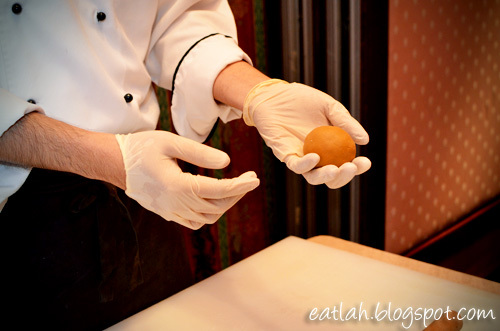 "When you give somebody Shuang Wei moon cakes, it says a lot about you." 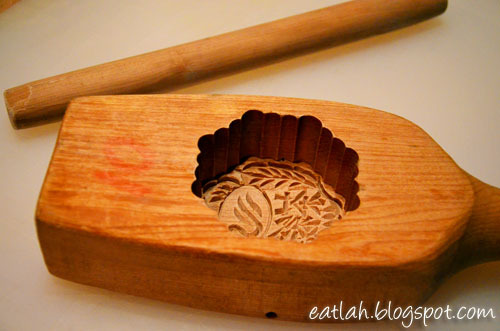 Golden Baked Low Sugar White Lotus Paste with Salted Dried Shrimp (RM 23 /pc), the sweetness and smooth texture of the lotus seed paste is cleverly partnered with the distinct taste of the dried shrimp. 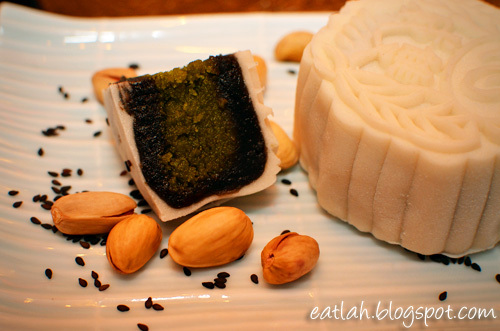 Snow Skin Low Sugar Sesame with Pistachio Paste (RM 23 /pc) - contains alcohol, distinctively flavored snow skin layer encloses the thick, tar-black puree of pure roasted black sesame; adding a nutty and delicate zing to the rich alcoholic taste of pistachio. 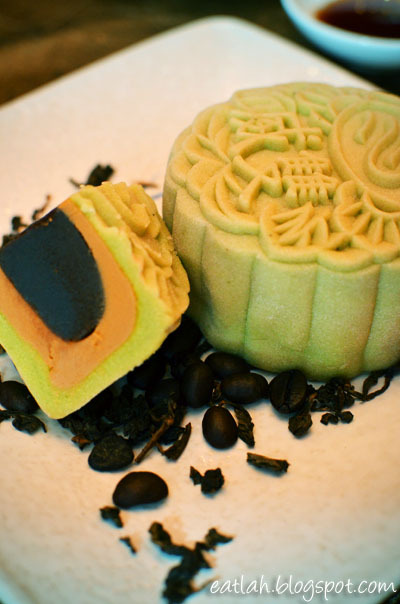 Baked Low Sugar White Lotus Paste with Black Sesame and Custard Paste (RM 23 /pc), fine concoction of unique tastes accentuated by the fragrance of black sesame that graciously complements the pleasantness of lotus seed and silky smooth custard. 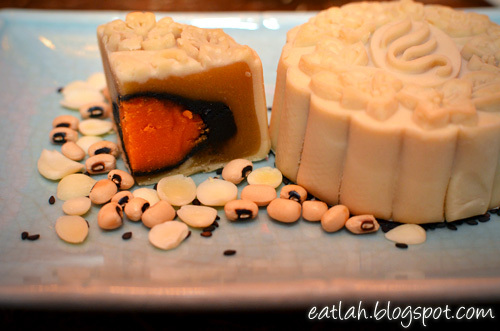 This latest flavor from Shuang Wei moon cakes is literally in a class of its own with its uniquely baked white skin by using special flour. 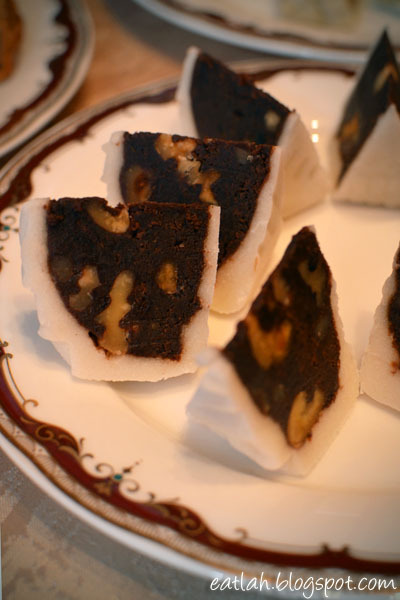 Snow Skin Low Sugar White Lotus and Red Date Paste (RM 21 /pc), the dense and sweet filling of white lotus seed paste matches well with the subtle sweet aroma of red dates leaving a lingering sweet sensation on your palate. 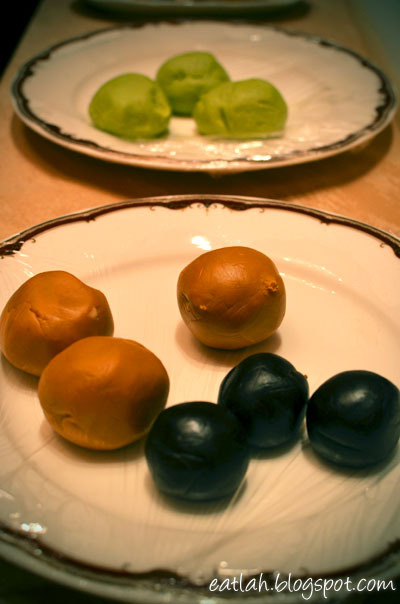 Snow Skin Green Tea with Royal Milk Tea and Mocha Paste (RM 21 /pc), strikes a perfect balance between the clean and fragrant taste of green tea, milk tea and mocha. 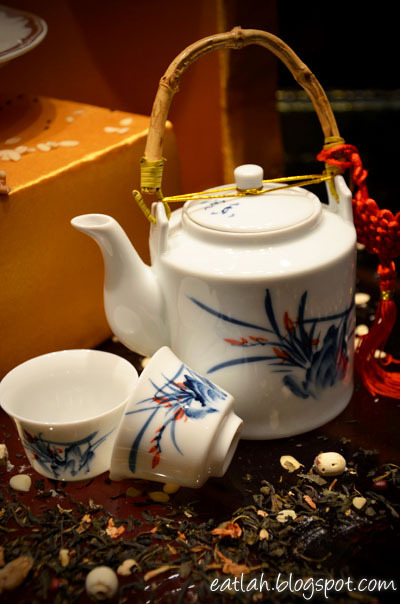 Certain to be a winner among those who enjoy milk tea, it had a real and strong milk tea flavor. Snow Skin Chocolate Whisky Paste (RM 23 /pc) - contains alcohol, the velvety texture of the exterior encircles the sweet caramel notes of the chocolate-whisky combination will definitely bedazzle our modern taste buds. 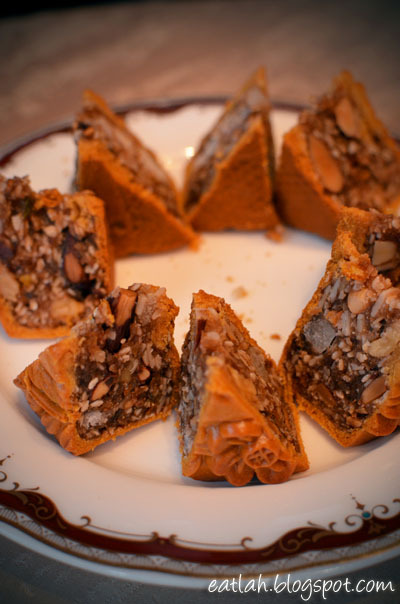 The alcoholic filling gives a well-balanced sweet and bitter aftertaste making it a truly devouring! Golden Baked Assorted Organic Nuts (RM 23 /pc), filled with wholesome variety of nuts and imbued with a delicate fragrance. 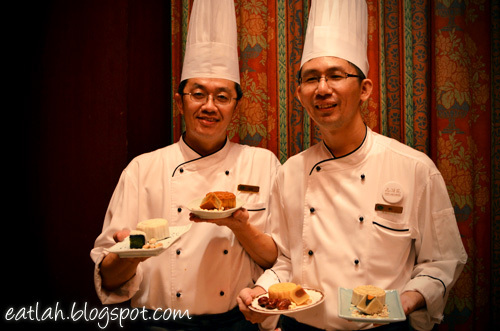 Chinese Master Chef Chan Choo Kean and Chef Wu Chee Keong are pleased to introduce us an exciting series of Shuang Wei moon cakes for this upcoming Mid-Autumn Festival. 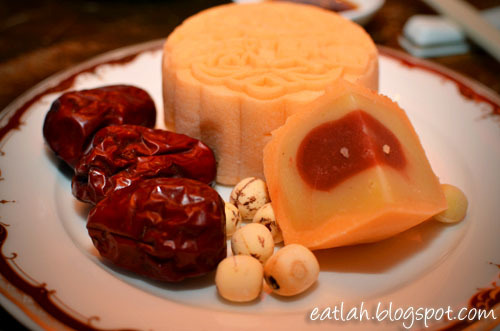 Our personal favorites are definitely the moon cakes with an alcoholic twist. 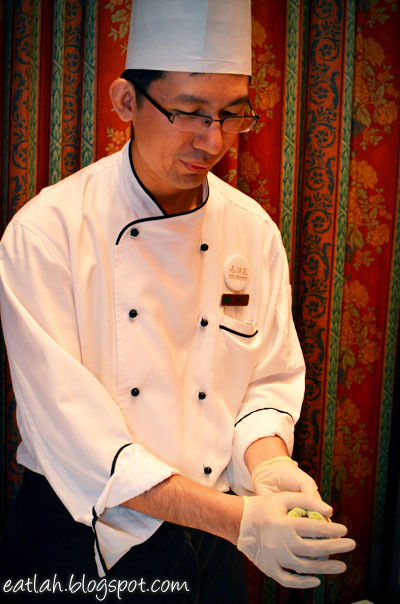 Apart from sampling the moon cakes, Chef Wu Chee Keong demonstrated the steps in making a snow skin moon cake. 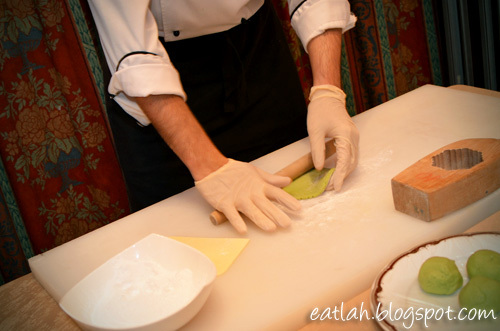 First, flatten the ball of dough into a patty. Next, slowly wrap the ball filling up. 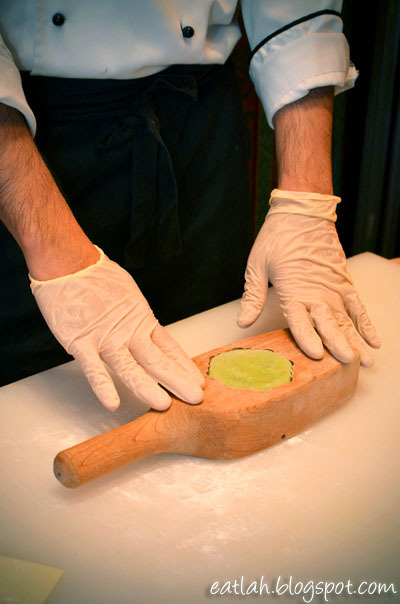 Gently mold the edges to enclose the filling and seal it up. 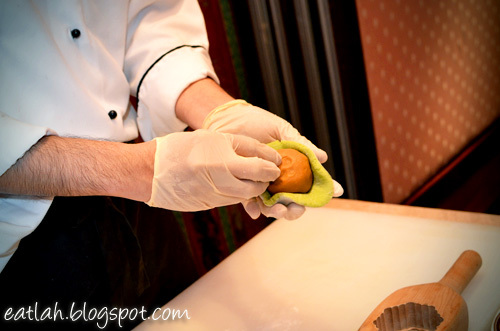 Dust a thin layer of flour into the mould and press the filled dough firmly into the mould to get the shape of the moon cake. 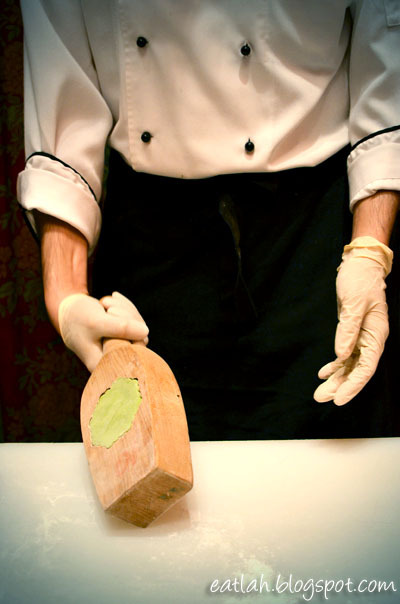 Then, tap lightly on the left and right to dislodge it. Tada! 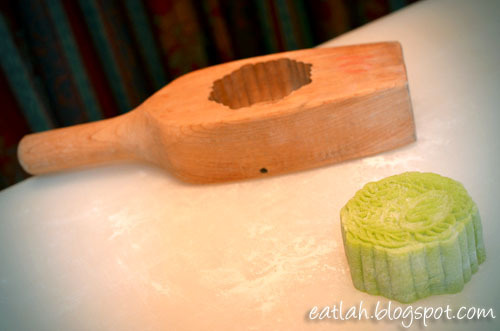 It might looked deceptively simple but believe me, a lot of effort goes into a single perfect moon cake. 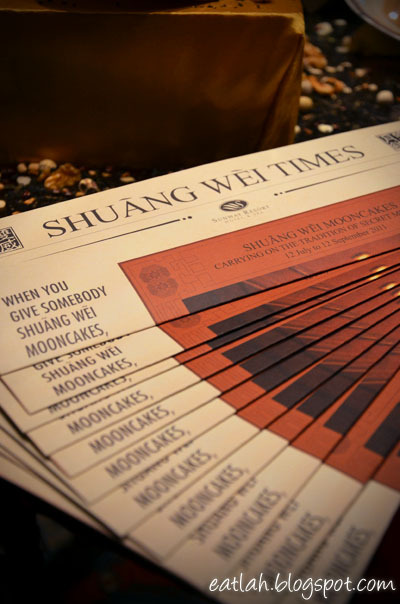 Priced between RM 21 to RM 23 per piece, Shuang Wei moon cakes made with less sugar, free of artificial coloring and preservatives are available for take-away from 11am - 9.30pm daily at West Lake Garden Chinese Restaurant from 12 July to 12 September 2011. 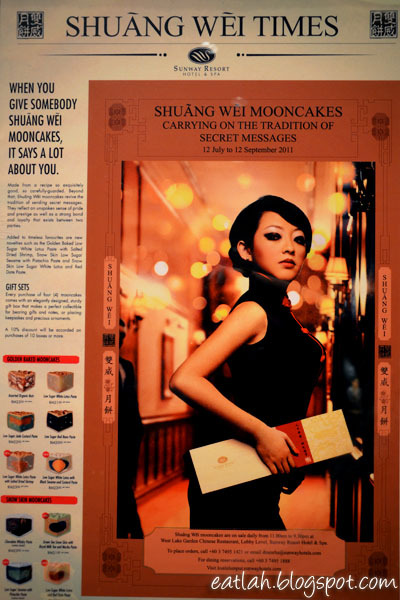 Presented in an elegantly designed gift box, Shuang Wei moon cakes are also ideal as a corporate gift with West Lake Garden's Secret Treasures or Timeless Classic gift sets at a mere RM 98 for 4 selected flavors. 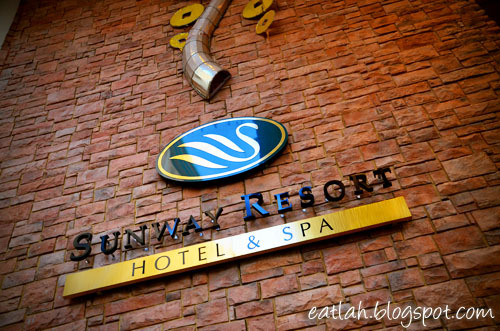 You may also place your orders via fax to 03-7495 1424, email dinesrhs@sunwayhotels.com or call 03-7495 1421. 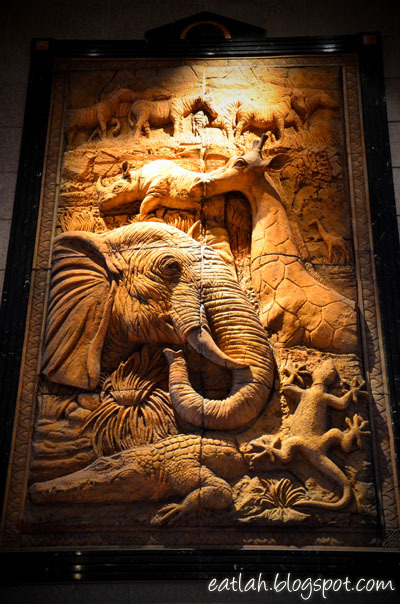 A 10% discount will be accorded on purchases of 10 boxes or more. 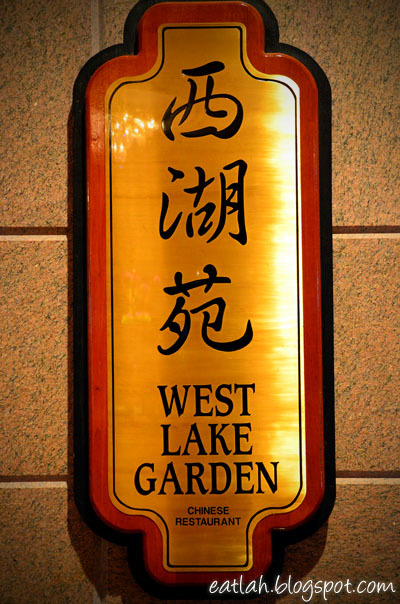 In addition to the overall moon cakes experience, we were lucky to sample several dishes from West Lake Garden specially prepared for us. 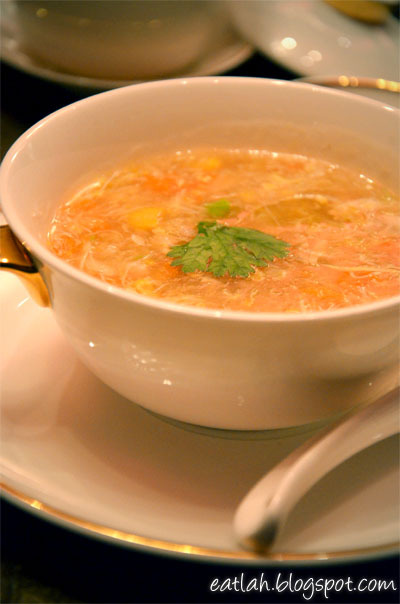 Braised Scallop with Crab Meat in Sweet Corn Broth Drizzled with Truffle Oil, it was light with a gentle sweetness from the corn broth and the decadent drizzle of truffle oil at the end absolutely made this soup luxurious. 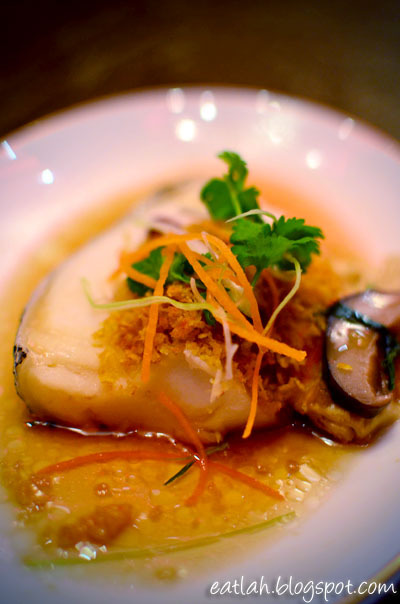 Crispy Ginger Steamed Cod Fish, fresh and velvety smooth cod fish with a wonderful fragrance from the light soy sauce and crispy deep-fried ginger. 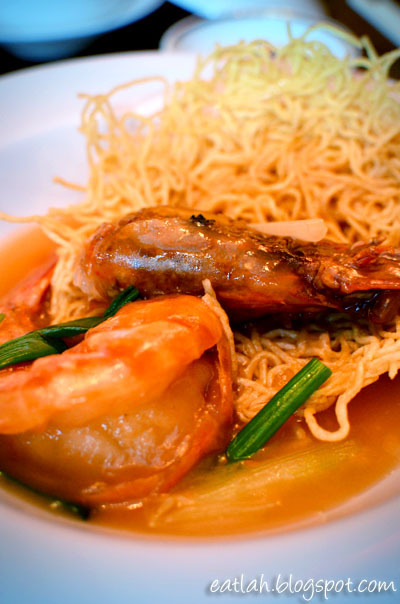 Crispy Noodles with Tiger Prawn. Surprisingly, the crispy noodles which soaked up the gravy were unusually good and almost stole the show away from the fresh tiger prawn.